College of Idaho controlled the tempo to bring its processions down to the last seconds as the Coyotes defeated Southern Oregon 51-47 in Friday night’s Cascade Collegiate Conference men’s basketball match up at Bob Riehm Arena. Southern Oregon falls to 13-8 on the season and 6-4 in conference play while College of Idaho improves to 2-8 in the CCC and 6-14 overall. The Raiders return home tomorrow night to host No. 10 Eastern Oregon, and C of I travels to Klamath Falls to face Oregon Tech. Kyle Tedder finished with a team-high 16 points, while Eric Thompson added 13. For College of Idaho, Zach Peterson finished with a high of 16 points, going 3-of-5 from three-point range. 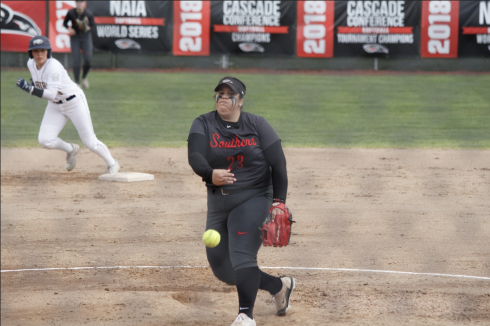 Southern Oregon struggled from the field in the first half, only scoring 15 points on 4-of-14 shooting, including 6-11 from the free throw line. College of Idaho also struggled from the field, connecting on 33 percent of its shots, but the Yotes were able to secure the lead going into halftime scoring 11 of their 20 first-half points following SOU turnovers. 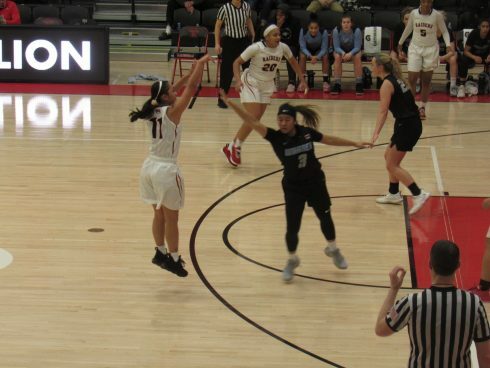 Southern Oregon continued to keep up with the Coyotes during the second half of play but was unable to ever take the lead, as College of Idaho improved its shooting to 55 percent in the half. The Yotes also shot 5-of-9 from beyond the arc in the period. The Yotes led by as many as 11 points, but the Raiders nearly pulled off the comeback, bringing the game to within three points with 20 seconds remaining. Free throws would come back to haunt the Raiders as they shot 20-32 from the line in falling to their conference opponent.